arts, therefore dubbing it one of the best places to retire. Though the city is the corporate hub of East Tennessee, home to the Tennessee Valley Authority (TVA) and the University of Tennessee at Knoxville’s main campus, the city is not yet among the South’s urban giants. 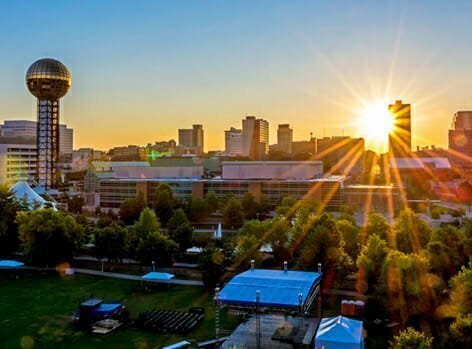 In the last several decades, however, Knoxville has experienced impressive gains, particularly in high-technology industries and related firms. 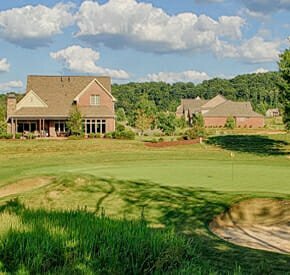 Just thirty miles north of the country’s most visited national park, Knoxville has long been known as the gateway to the Smokies. 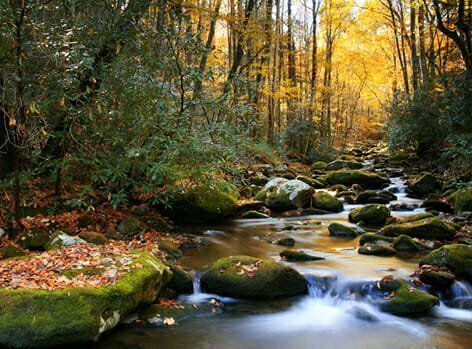 Over nine million tourist visit each year, making The Great Smoky Mountain Park the most visited National Park in the nation. The Smoky Mountains and the Cumberland Mountains provide beautiful national and state parks that have an abundance of recreational activities from which to choose. 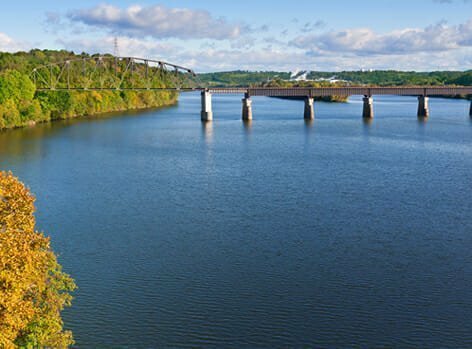 Initially, the TVA system was designed for navigation, flood control, generation of electricity and reforesting. 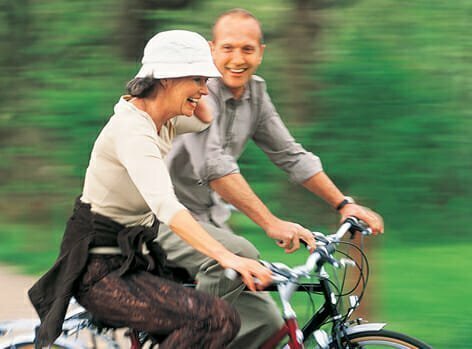 Now, a wide range of recreational activities have become an additional facet of the system. Five of the “Great Lakes of the South” are within 30 miles of Knoxville. 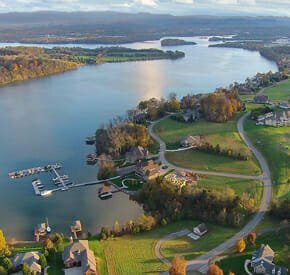 Fort Loudon Lake is of particular pride to Knoxville, with homes along both the north and south shorelines. 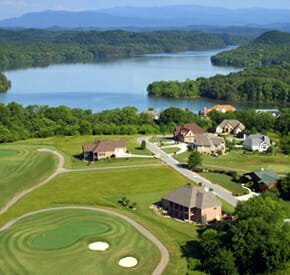 This makes the area the perfect place for the top Tennessee gated communities. 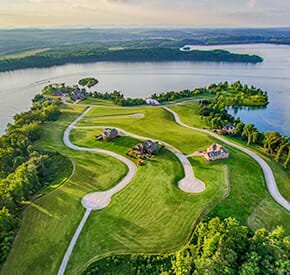 Volunteer Landing—a waterfront development located in downtown Knoxville along the Tennessee River—is home to several historical sites, including James White’s Fort and Blount Mansion. Visitors can also take a train ride through some of Knoxville’s first settlements aboard the Three Rivers Rambler or cruise down the Tennessee River on board the Star of Knoxville riverboat. Home to a rich arts community, Knoxville has many festivals throughout the year. Its contributions to old time, bluegrass and country music are legendary. The Old City and Market Square host several music festivals and free concerts throughout the year including everything from rock to reggae, bluegrass to blues, and jazz to classic country. 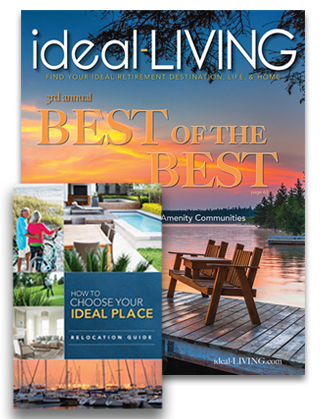 practically every imaginable specialty, including many that are generally not found in communities of this size. In addition, Knoxville’s East Tennessee Children’s Hospital devotes itself exclusively to prenatal and intensive care, pediatrics and children’s surgery. The largest hospital in the area is the University of Tennessee Medical Center at Knoxville, nationally renowned for its research programs in heart disease, cancer and genetics. ergy centers in the world. The Knoxville Utilities Board (KUB), the Tennessee Valley Authority (TVA), and the environmental community are working together to provide KUB’s customers the option of utilizing Green Power. Green Power is electric power drawn from renewable resources that have a minimal impact on the environment. The use of Green Power can help ease the dependency of the Tennessee Valley upon non-renewable resources such as coal and other fossil fuels.